Trump's senior adviser sends a message to Palestinian Arabs as PA chairman continues to boycott him. "You deserve a bright future". Jared Kushner, U.S. President Donald Trump’s senior adviser and son-in-law who is being boycotted by the Palestinian Authority and its chairman Mahmoud Abbas, gave an interview to the Arabic Al-Quds newspaper in an attempt to convey a message directly to Palestinian Arabs. “You deserve to have a bright future, now is the time for both the Israelis and Palestinians to strengthen their leaderships and re-focus them to encourage them to open up towards a solution, and not fear trying,” he added, in a direct message to Palestinian Arabs. This is the first interview with Trump's senior advisor on the U.S. president's peace plan. The quotes from the interview were published by Reuters on Saturday night. “If President Abbas is ready to go back to the negotiations table, then we are ready to participate in the discussion, but if it’s not the case, then we are going to make the plan public,” he continued. “I believe that in order to reach an agreement, both parts are going to gain more than they’re giving, and both sides will feel confident that the life of their people will be better decades from today because of the concessions that they’re offering,” said Kushner. 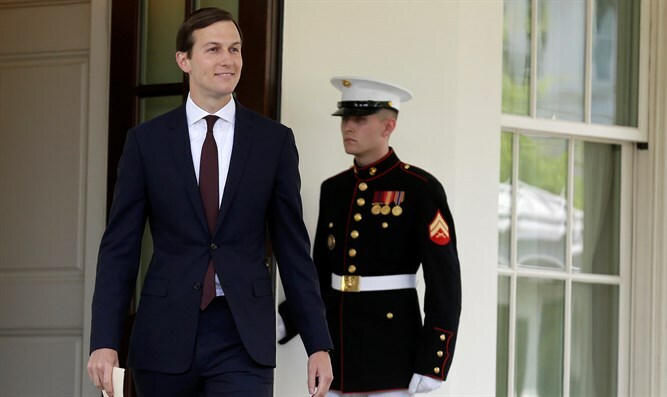 Kushner, along with Trump’s Special Representative for International Negotiations Jason Greenblatt, are currently visiting the Middle East for discussions with local leaders about Trump’s peace plan. The two, who have already met Jordan’s King Abdullah II, Saudi Crown Prince Mohammed Bin Salman and Egyptian President Abdel Fattah Al-Sisi, are not slated to not visit Ramallah or meet any PA officials. Abbas has refused to consider the Trump administration an honest broker for peace negotiations with Israel since Trump’s recognition of Jerusalem as Israel’s capital last December. They held a follow-up meeting on Saturday night. The White House said later the three continued their discussions which began on Friday.